Date Paste: Sweeten with Fruit! Have you heard? Americans eat too much sugar! Duh, you might say, but it is a big problem for a lot of us. Trying to reduce sugar consumption is a goal for many people, including me and that is really hard because I have a sweet tooth! To put in perspective, the American Heart Association recommends no more than 6 teaspoons of added sugar for women and no more than 9 teaspoons of added sugar for men. Eight teaspoons of sugar are in one 12 ounce can of regular soda. Added sugars include: sugar, brown sugar, molasses, honey, agave, corn syrup, fruit juice concentrate, cane sugar, sucrose and other words ending in "ose". The naturally occurring sugars in milk (lactose) and fruit (fructose) do not count in these added sugar totals. So choosing to sweeten your foods with fruit such as ripe bananas or dates is one way to continue to enjoy foods but limit those added sugars. This week's Healthy Living Monday Motivation included a link with more tips for limiting sugar intake, so check that out, too! Dates are a fruit (Green Light food) and contain fiber, which aids in cholesterol control and digestion. They also have tannins, a known antioxidant, as well as the minerals iron, calcium and magnesium. Here is the food label from my recent package of Medjool dates. I bought this package at Sam's Club. I've recently started making date paste and using it to sweeten some of our foods. We've used it to sweeten plain yogurt, granola bars, oatmeal and in place of jelly on toast. I recommend soaking the dates at least 12 hours. Sometimes I forget about them for a few days while they were soaking and this recipe still turns out great. I have also read that you can use boiling water and soak for a shorter time, but I have not tried that method myself. I have soaked Medjool dates from Sam's Club and Trader Joe's and dried dates from Aldi. All had great results. Place the dates, water, salt and vanilla into a pint sized, wide mouth mason jar. 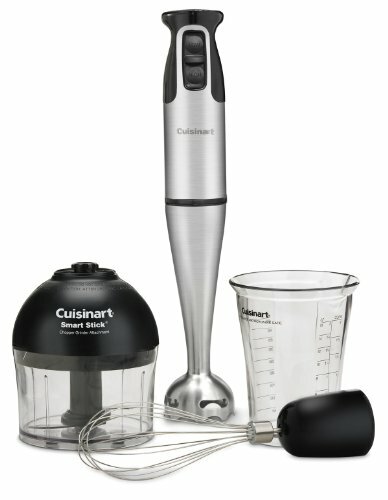 Use an immersion blender to puree. That's it! Store in the refrigerator for about a week or in the freezer for up to 3 months. Pint size Ball jars are freezer safe so it can go straight to the freezer if needed. This can also be made in a food processor or blender, but I prefer an immersion blender because it generates fewer dirty dishes and I hate washing dishes. Sometimes I substitute 2 teaspoons of date paste for every teaspoon of sugar called for in the recipe. So, by doing this substitution, I have reduced my added sugar intake without reducing the sweetness that I love so much! The color of date paste darkens over time. The jar on the left has been in my refrigerator for about a week and the jar on the right is fresh date paste. 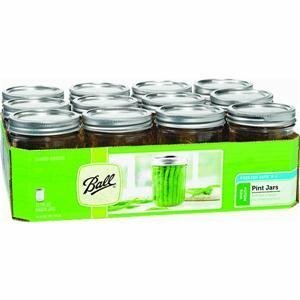 Here are some Amazon links to products used in making date paste. When you make a purchase through these links, I get a small commission to support this site, and your price stays the same. thanks for your support. Get details here. Coming soon is a granola bar recipe using date paste, so stay tuned! You may also want to check out my chocolate spread recipe made with dates. So, try it out and tell me what you sweeten with date paste and how it turns out. Let me know in the comments below! Posted on February 11, 2016 by Erin Sills and filed under Recipe and tagged sweets nutrition Green Light foods recipe.